Presented to YOU by Vought Property Management. 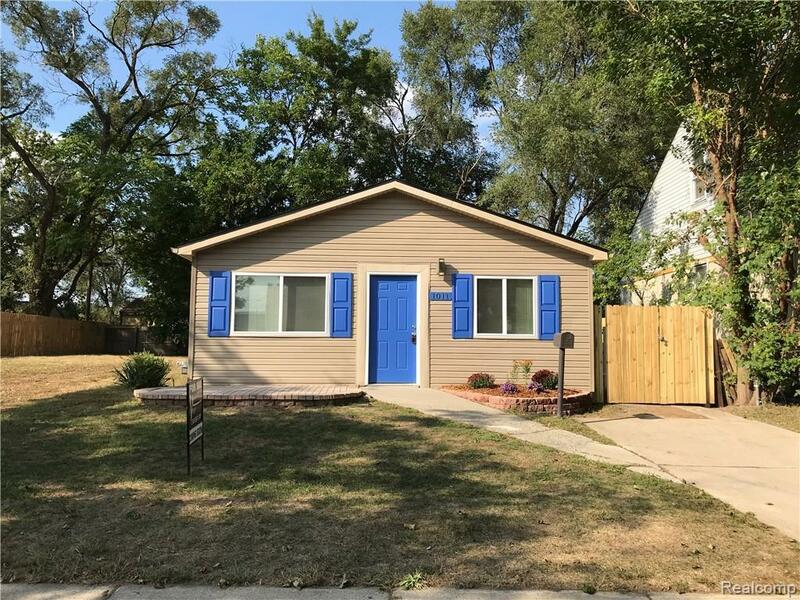 Beautiful Home Completely Remodeled in 2018. 3 BEDS & 1 Bath Ranch. Open Floor Plan. NEW FULL BATH. NEW Kitchen W Soft Close Custom Cabinets & Pantry, Quartz Countertops, NEW Stainless Steel FarmHouse Sink, Fixtures & Samsung Appliances ALL INCL. Kitchen Island Cart W Stainless Steel Top INCL. New Walls, New Doors, New Molding & Fresh Paint. NEW Gray Modern Wood Floors throughout & Tile. ALL NEW Fixtures. NEW Electrical Panel & Wiring throughout the House. New Recess Lights. NEW Furnace, AC, & Water Heater. Custom Accent Wall & Custom Light Fixture in Master Bedroom. NEW Windows. NEW Wooden Privacy Fence installed in 2018. NEW Porch. NEW Landscaping by Home Entrance. Newer Roof & Siding. And MUCH MORE. This is the NICEST HOUSE in Hazel Park for a little over $100K. All dimensions are approximate. Buyer and Buyer Agent to confirm ALL dimensions. Home is Partially Staged. Optional Furniture (NOT Pictured) Included.